Ready for 100 miles. In eight weeks I will be! From the previous post you will know I now have a Garmin Edge 200 to assist with the training rides for #RideLondon. One of the benefits of having a Garmin Account for recording workouts is you have access to a wealth of training assistance. The plan below was created by Robby Ketchell who knows his stuff from is work with Team Garmin-Sharp, yes the pro team of David Millar! Robby Ketchell is the Director of Sport Science for Team Garmin-Sharp. He is responsible for aerodynamics, equipment, technology, nutrition, biomechanics, data analytics and human performance. Told you he knows his stuff! Well this is the plan I will be following for the next eight weeks to ensure I am ready for the big one come August. Yes I am starting early but If I can get into shape come May, then I can complete a few sportive’s to ensure I am fully ready for August! Robby states “The purpose of this training program is to gradually increase your mileage over 8 weeks to achieve completing a Century ride. By increasing the distance gradually, you will build the fitness needed, avoid injury, and prevent over-training. To start, count back from the date of your Century 8 weeks and use the following program as a guideline for managing your mileage and efforts. This program assumes that you are starting with the ability and fitness to complete a 25 mile ride. If you are not beginning at this level, consider reducing your goal to a half century”. The training plan is outlines below on a weekly basis. Week 1: The total amount of miles to complete this week is 60 miles with the furthest ride being 25 miles long. This week, you should complete 4 total rides, giving you 3 days of recovery. The first two rides should be 12 miles long, the third 25 miles, and the fourth 11 miles. You can use the recovery days for this week and any other week moving forward to spread out the rides appropriately given your schedule. The intensity this week should be very low (at the level that you can still carry out a conversation while riding) and you should avoid big climbs. Week 2: The total amount of miles to complete in week 2 is 75 while doing a maximum distance ride of 35 miles in one day. The mileage for each of the 4 days of riding is: 10, 20, 35, and 10 miles respectively. Again, use your rest days wisely to make sure you don’t push yourself too hard during the second week of this program. The intensity should be similar to week 1 but allowing you to increase your intensity above week 1’s on any hills that you encounter. Week 3: The total mileage for week 3 is 95 miles with a big ride of 40 miles. Rides for this week are: 20, 25, 40, and 10 miles. Intensity should not increase from week 3 and you should pace yourself on this week’s long ride. It is important to make sure you are eating food regularly now that your distance is increasing. 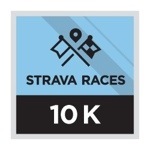 Week 4: This week’s mileage increases to 105 miles with the biggest ride at 50 miles. Again, this week you will ride for 4 days including 15, 20, 50, and 20 mile rides. Once again, keep the intensity low and especially manage your pace on the longest day of the week. Week 5: Now the distance is starting to increase beyond a half century, you should be considering the weather and time of day that you are leaving for your rides. Make sure to carry the right clothing with you if it looks like it is going to get cooler as the ride goes on or if rain is likely. Also, if the sun is setting early, make sure you are wearing the appropriate reflective clothing. The maximum one-day distance ride for this week is 60 miles, making a total of 125 miles for the week. These rides should be 20, 30, 60 and 15 miles long. Intensity this week can increase as you feel comfortable, but remember that the main goal is to complete the distances, not to do them fast. Week 6: This is both the longest total distance week and the furthest single day ride that you will do to prepare for a Century. The longest ride is 70 miles long, and the total distance for the week is 135 miles. These rides are 20, 30, 70, and 15 miles long. Remember to use your rest days to help recover from each workout. Once this week is completed, you should feel confident that after a week of tapering you can complete a Century. Week 7: This week has less miles than last week for a reason – you are giving your body some rest before you complete your Century. The longest ride should not exceed 55 miles and you should not complete any more than 70 miles for the week. Week 8: Century! For me I will either complete the London to Brighton Night Ride aiming sub 4 hours for the 60 miles or the Dunwich Dynamo which again at night is double the distance at 120 miles. Yet to be decided! If at any time during this program you have an injury or feel over fatigued, you should back the mileage off to your needs. Never push through a training program just to complete it and make sure that your general health is the main priority. So as you can see this will be my riding plan for the next eight weeks. I plan to complete the distances with riding to/from work again which is what I have done in the past with the Sunday ride being the long ride. I will also use the gym to ensure the miles are completed as this has to be the main goal here. Right less blogging and more cycling! This entry was posted in Cycling, Dunwich Dynamo, Equipment, London To Brighton, Ride London, Training. Today my orders arrived. It means on Sunday I won’t need to wear shorts over tights as I get to try out my new leg warmers, plus no more cold feet due to my neoprene shoe covers. All the above is dhb nd I have to say I am a big fan of their stuff. I will, in the near future, get some of their bib shorts too. Well if it’s good enough for Laura Trott then it’s good enough for me at my level. To add I have my Garmin Edge 200 set up and ready to go. It really is a case if get it out of the box and once charged off you go. And it charged from dead to full in quick time too. More detail about the items next week after they have been tested, which I am looking forward to doing. I’ll still be uploading my rides to Strava, just from a Garmin devise rather than a mobile phone. I think training will be helped as I’ll be able to constantly check my average moving speed and check if it is above my target. I’ll also be able to use it for my runs too which is useful. That in your eye-line information which will keep me honest and on my toes! Lets see how it all fits together and hope it improves my performance. This entry was posted in Cycling, Equipment, Training. The other day I received a lovely request via Twitter to promote an event by retweeting the original tweet. 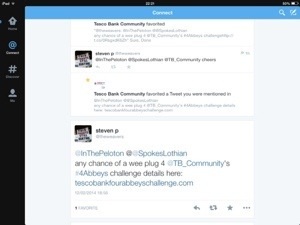 I was happy to do this after checking out the event which was being sponsored by TescoBank. Unfortunately I will not be able to take part but good luck to all those who are and I hope you all raise loads of money for such a good cause. I was surprised that such a request had come to little old me as the twitter account doesn’t have many followers, but maybe it is a sign that others see the blog and twitter account as something worth following. If this is the case then great. Chuffed to bits I am! I try just to write things that are interesting and. I know that some of it has been useful to other people and then the blog has met its objective. If the blog grows organically then fantastic but if not and it remains a very small niche then that is great. Thank you for the lovely people who have read the blog and the tweets and have left their comments. They are appreciated. A few months ago I blogged about a clash with the Dunwich Dynamo and the third London to Brighton night ride, both happening of the weekend of 12/13 July this year. This is of course 4 weeks before I will be cycling in the second RideLondon-Surrey 100. In the first blog I suggested the more sensible plan would be to complete the “dun run” as this would be the longest ride I have ever completed and therefore would put me in tip top condition for the August ride of my life. Well I am still undecided and have now started to think a stab at getting the #l2b ride close to 4 hours as possible would be a good test of how the training has gone. I know I can complete the distance, having done the ride twice before but this year with better lights, spare batteries and the target of posting a sub four hour time could just be the ticket for getting me through the 100 miles the following month. After all 60 miles will come at the right time in the training and would be ideal preparation I am starting to think. 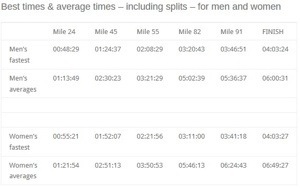 Another thing is if I can ride 60 miles in 4 hours I have a good chance of riding 100 in about 6 hours 27 minutes which on last years times would put me nicely in the middle of the pack, well in the top 70% and I’d take that! 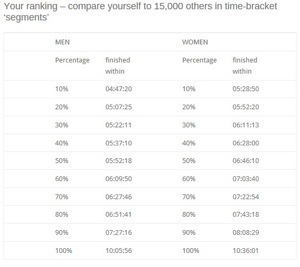 As you can see from the info graphic last year the average time for men was about 6 hours. This is a good pace and certainly a goal to work towards. Completing #l2b in under four will give me an outside chance of hitting the average from 2013. As previously mentioned first time out the goal has to be to complete, raise the required target for Sue Ryder and then a good time if possible would be the priority. Whatever the final decisions, which need to be made, the fact is it all has to be about what would be best for the final prepeations fior August. I now have some idea of what the pro teams have to do to get their riders in form for the grand tours and other events throughout the season. The training plan leans towards #l2b as the shorter ride which will act as a final conditioning ride for the big one come August. However lets see! Any advice is greatfully recieved. What are other #RideLondon cyclist planning on doing? This entry was posted in Cycling, Dunwich Dynamo, Fundraising, London To Brighton, Ride London, Training and tagged #ridelondon #l2b #training #cycling #fundraising. I must remember I need time to improve. i suppose I am still getting over the excitement of actually knowing I will be part of the many thousands participating in Ride London come August. I know from experience the training will be hard at times and there will be good days and bad. At least I know from experience that I will be able to get through the low points and become stronger/fitter in time. This weekend has training highs and lows. Saturday was the high with my first ever recorded 10km run which I am pleased about as it will help with the cardo work as preparation for the long rides. Sunday was the low. I felt in good shape but in reality I found the training difficult. I managed just 2km running before my legs gave way after the previous days run. I like to use the weekend to its full potential for training when I can as the weeks can be busy with work etc. The lesson with this is REST. Rest is a critical part of the training plan. Remember I am not a runner so therefore by body needs longer to recover especially at the moment at the start of the training. My body is able to recover from cycling as it is an activity my body has completed more off. The second lesson or reminder is that not all training need to be pushing the boundaries of physical exertion. After all I am training for a endurance event I need a combination of shorter more demanding intensive style workouts, as well as the much slower endurance building rides. The latter will come at the weekends in the coming months, I have just tried to hit the gym hardish to lose the excesses of the festive season and this has merged into the start of the training for Ride London. In truth the actual training plan has not officially started yet as this will commence properly in March. My reason for this is mainly work commitments and the fact the weather at the moment in the UK is wet to say the least. I suppose the work I am doing now is pre training work. I refrain from using the work conditioning as I am not in any sort of condition apart from poor. The main think I take from this weekend is stay focused and you can complete this challenge. I just wonder how long it will take me, but that is another post! Bradley Wiggins: the antidote to the media-trained. This entry was posted in Cycling, Sports (other).